Not one with a walk around bed. We’re too old to crawl over to get to the lu at night. Retro 177SE for us. I couldn’t agree more! A bathroom is necessary as you get older as well. 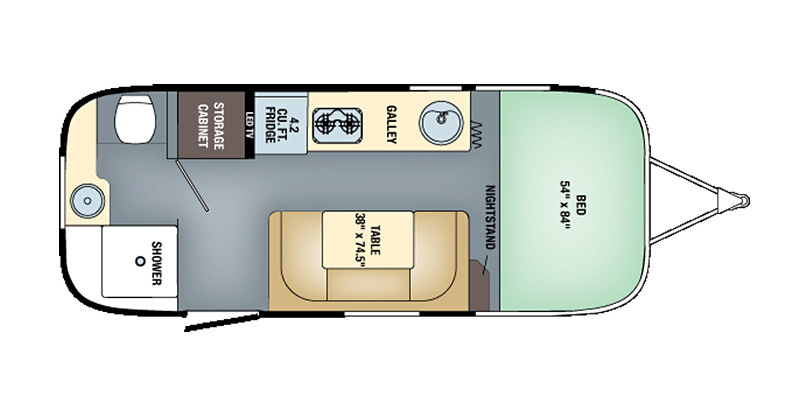 Not one with a Murphy bed… The way to get extra floor space… Bathrooms still too small… Two people could do better. I agree! 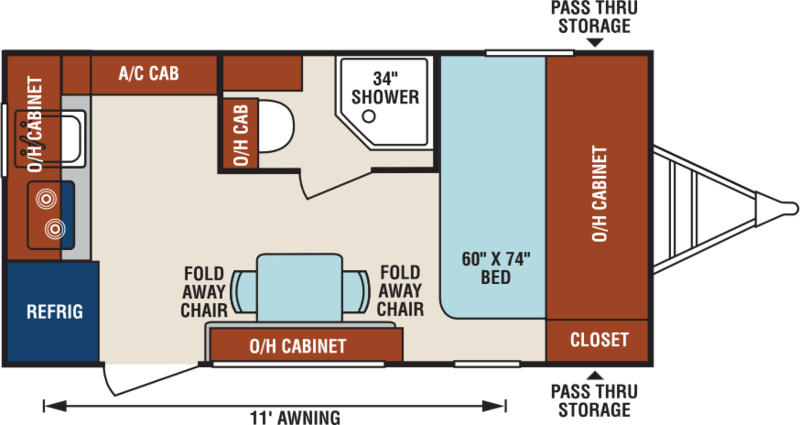 A Murphy bed is a great way to make a small trailer seem much larger. 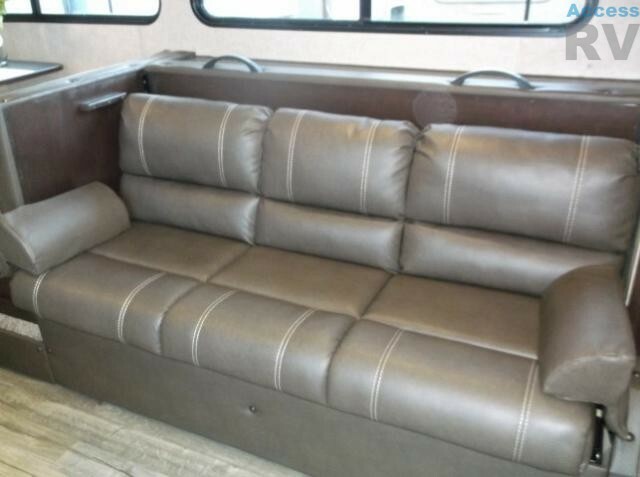 They are an effective way to have a sofa and bed in a trailer without the added weight and potential problems associated with a slide. 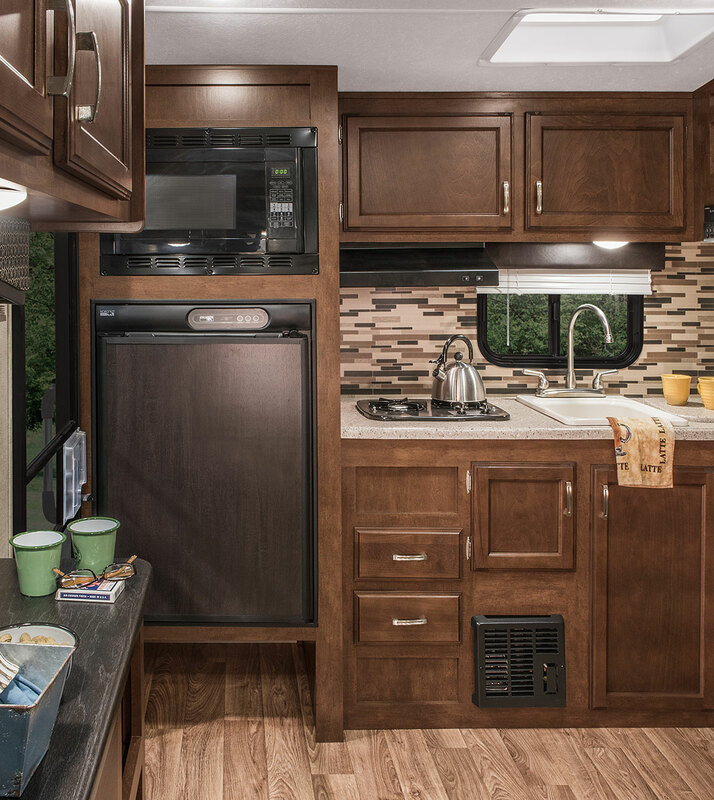 We chose a Rockwood Geo Pro 19FD and are happy with our choice. 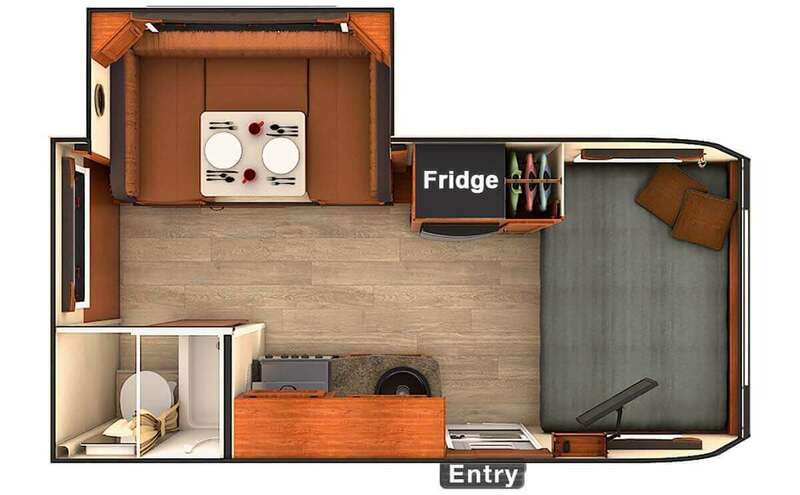 Would like a Murphy bed option and larger fridge , remove micro wave have shelf for toaster oven. 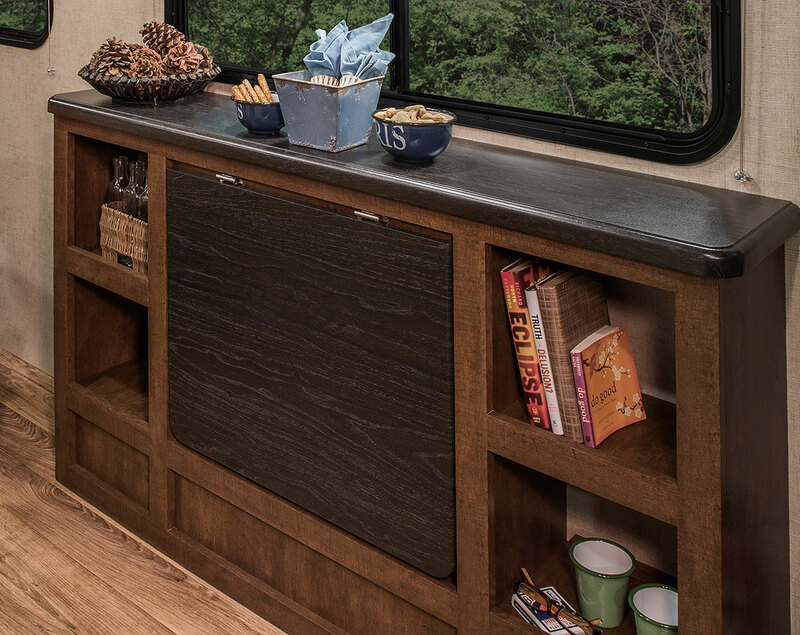 We like the Shasta Oasis 18 FQ. 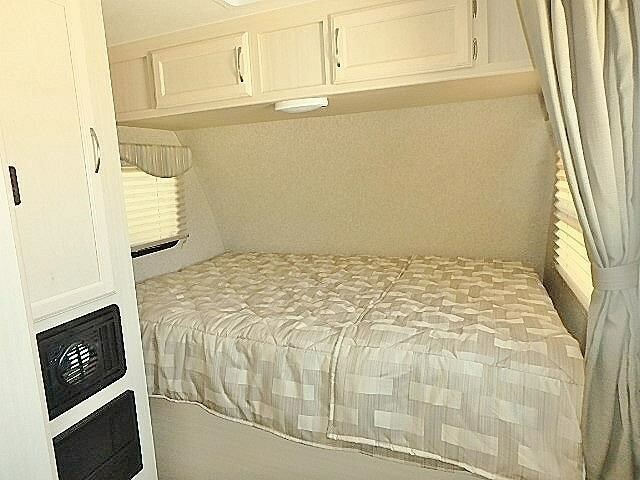 It has a walk around bed and plenty of room for a small trailer. It doesn’t even need a slide-out. Very good choice, Tom. 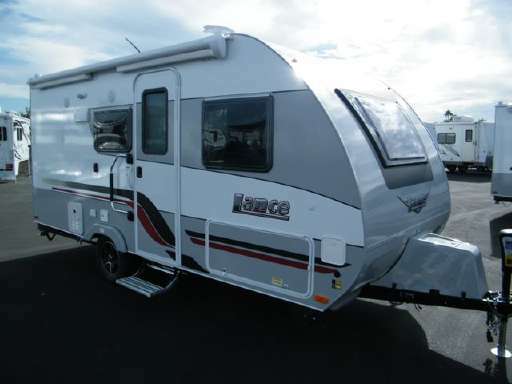 I’ve got the Oasis 18BH and it’s a great little trailer for the money. I really cannot imagine why the beautiful and extremely well made T@B 400 was not on this list! Not any indictment on the T@B 400 for not making the list. These six were just my own personal preferences. Many good trailers out there. These are just my faves for various reasons. 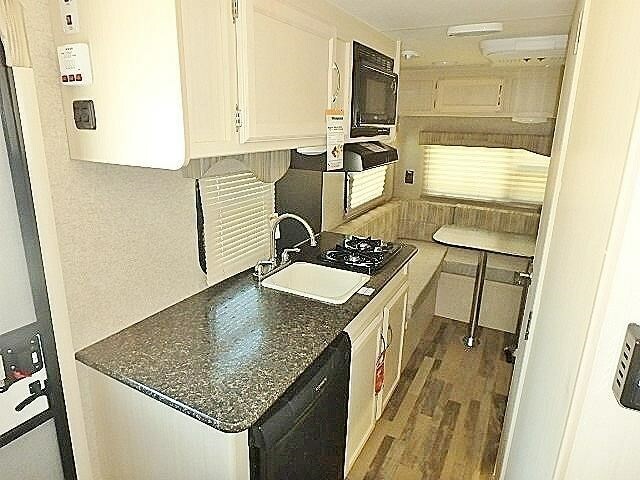 The layout make this Starcraft my choice for older couples who would like the larger dry bath. Starcraft 17UDS. Top of my list! Thanks for the article. There are many to consider! 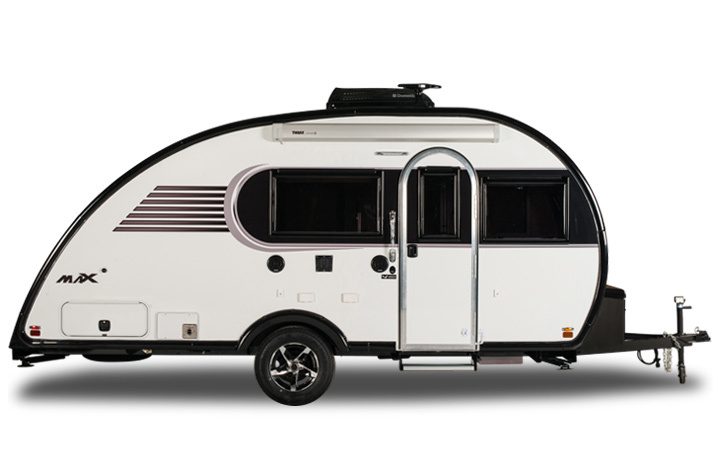 I understand it is hard to limit to just 6 trailers… These six have many great features. Some are rather expensive for me. My next small trailer will also need a bathroom sink. 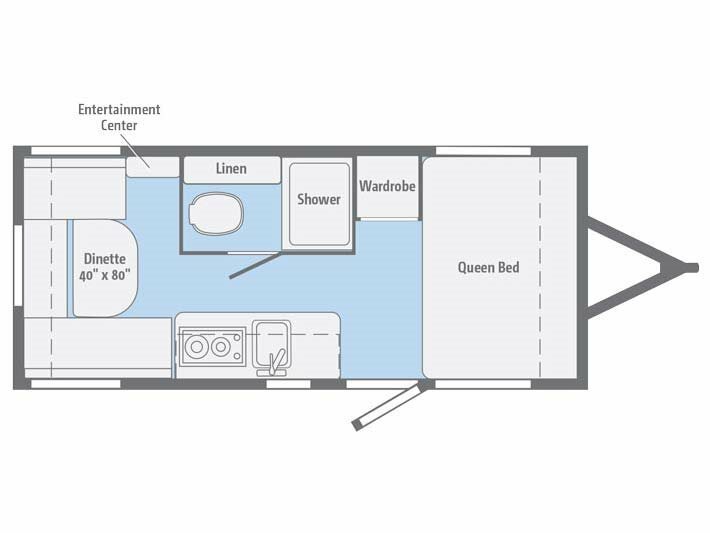 Of the six, only the Airstream Bambi has bathroom sink. 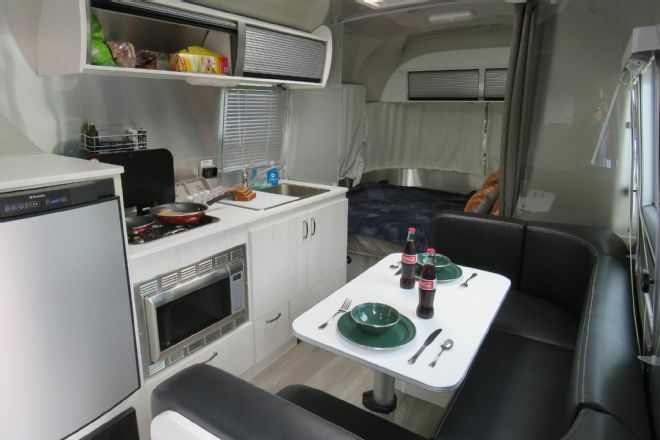 I have been interested in the Coachmen Apex Nano 193BHS or 191RBS (walk around bed). Anyone have feed back on these or Coachmen Apex quality? 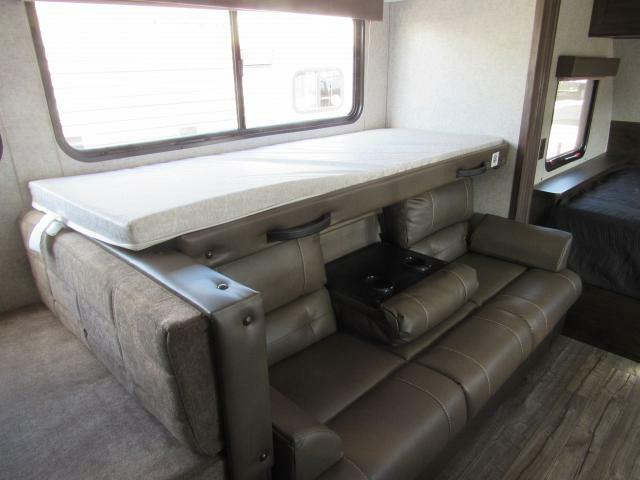 In our 70s, it was imperative that we have open sides to a queen bed, large dry bath, shower not tub and be towed with our Toyota 4 Runner, and on budget. 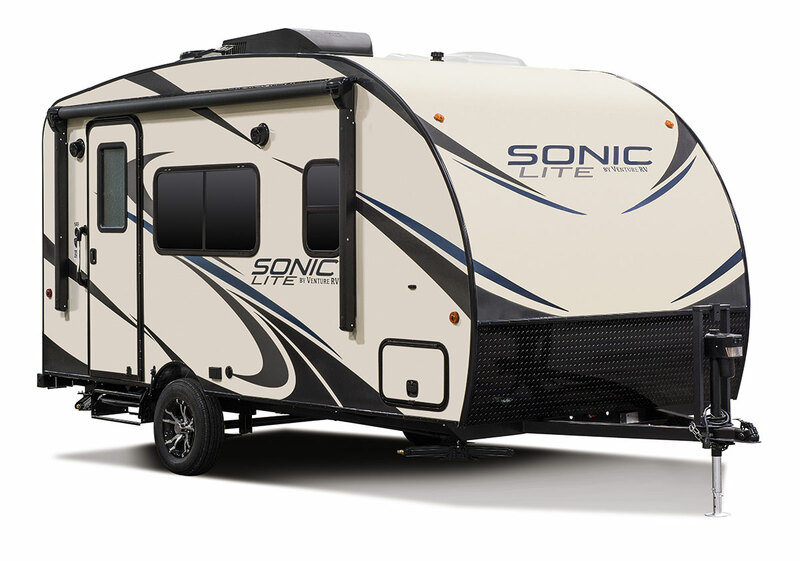 The Venture Sonic 190VRB fit our needs well. After one season it proves to live up to our expectations. Seems like most of the comments on this site were about not having most of the features that this model has. Please checkout this trailer. Thanks for a great post!! I was taken with the Little Guy Max, just watched the 20 minute video when I should be Christmas decorating. Lol. Are these all light enough to be pulled with a mid size SUV? Just a dumb woman question. We have a Rockwood A frame which is a Forest River product. I confess that if the Wolf Pup recommended above is a poorly made as our A frame, would not recommend it. We have had our A frame a little over a year and had it and it’s been in for warranty repairs 7 times. It still isn’t right. It has been a very frustrating first camper experience for us. Just discovered your Facebook page, and enjoyed your review of your top six choices for small trailers. No mention of Casitas, however, which surprised me, or T@Bs. Looks like a great Facebook site. 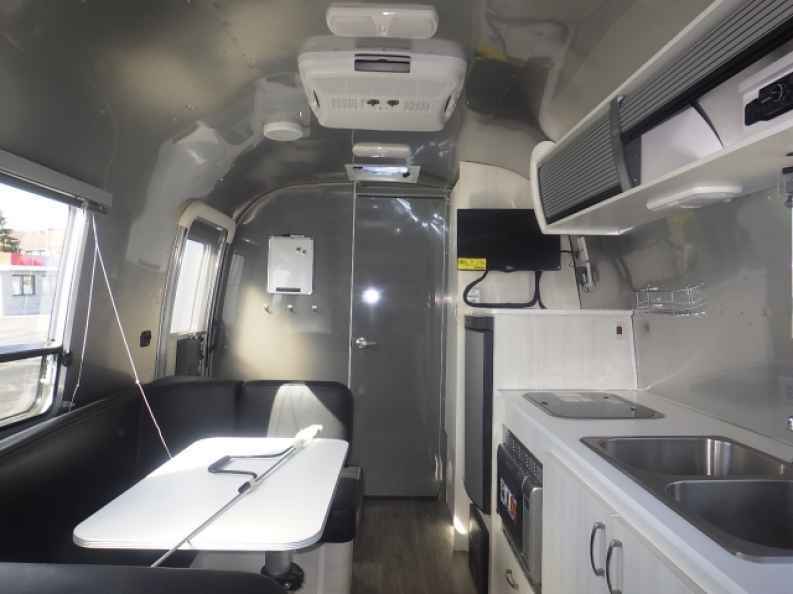 Sweet issue of The Small Trailer Enthusiast! Plenty of eye candy!!! 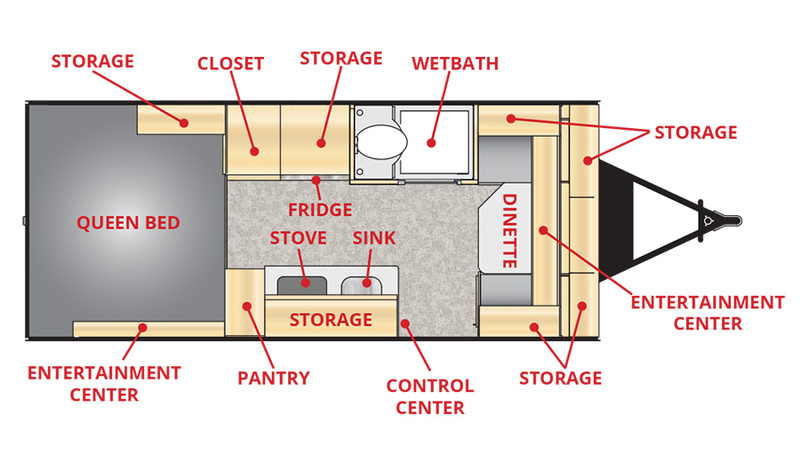 There are so many options for couples looking for a small trailer. Loving our Casita, but I like to look!!! Little Guy Max is a real good tear drop shape and will accomadate a traveling couple just fine. I love it. Thanks Brother ! Good interior too ! One of the best built trailers being built today. 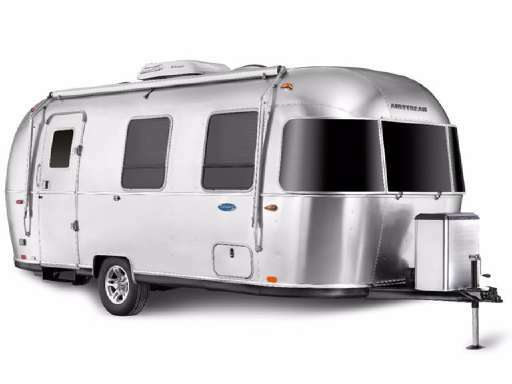 We are in our 50’s and are in the market for our first couples trailer. 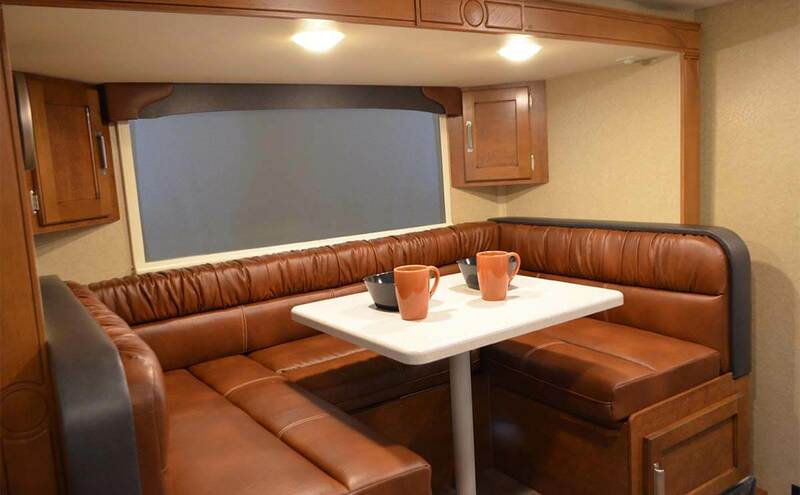 I don’t understand how folks function without a sofa-I find dinettes so uncomfortable for anything but eating. 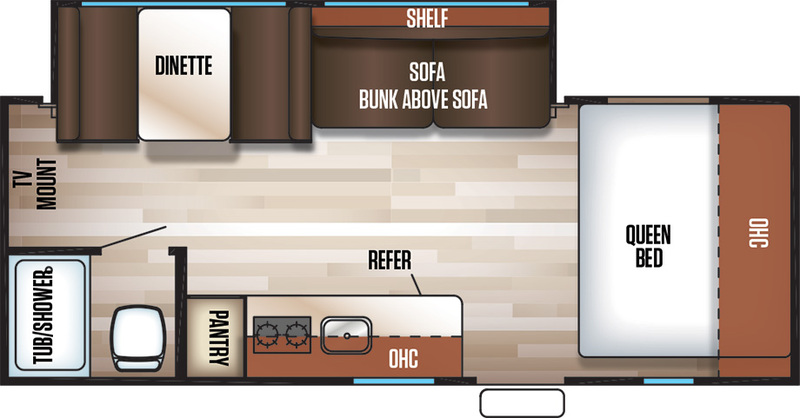 For this reason, we are only considering trailers with the Murphy bed/sofa option. 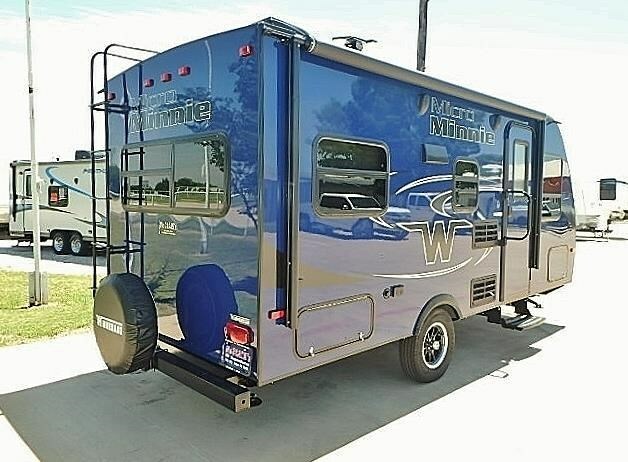 3 we are considering are: Rockwood Geo Pro 19FD (same as Flagstaff E Pro 19FD and similar to Flagstaff Microlite 19FD), Salem CruiseLite 171RBXL (same as Wildwood XLite 171RBXL), and Winnebago Micro Minnie 2108DS. 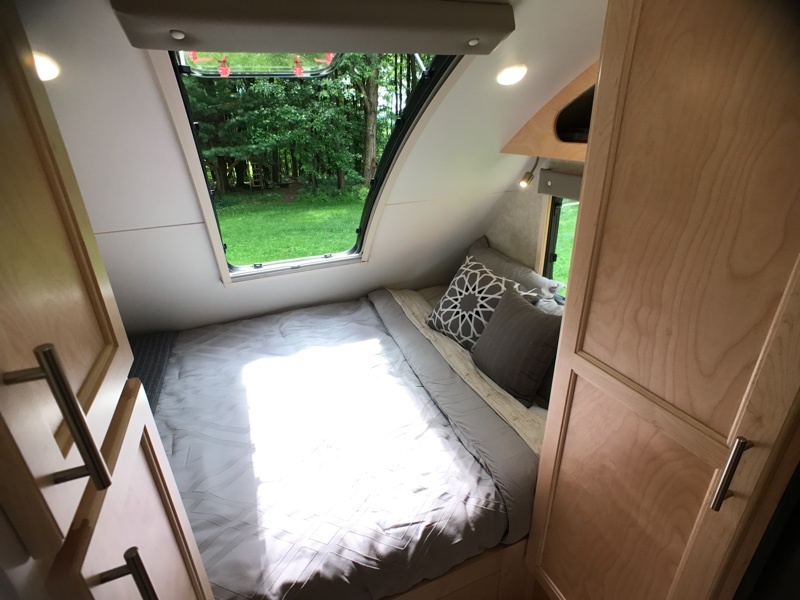 Incidentally, we recently toured the Little Guy Max and loved its design and quality-if it came with the Murphy bed/sofa option instead of a crawl-over bed, it would be at the top of our list. 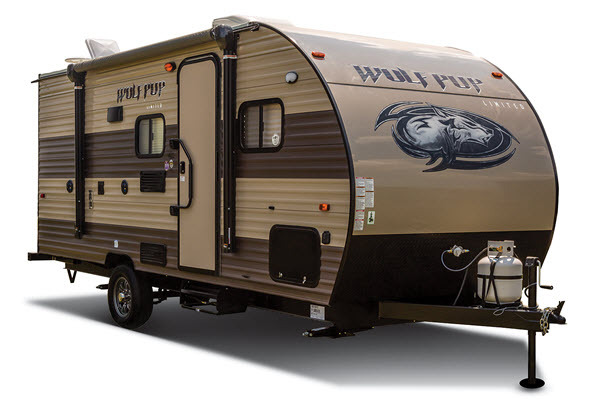 Nancy – I’m a little partial to Winnebago products myself. However, a dealer friend I know is quite high on the Geo Pro, and he’s a really good judge of trailer quality. 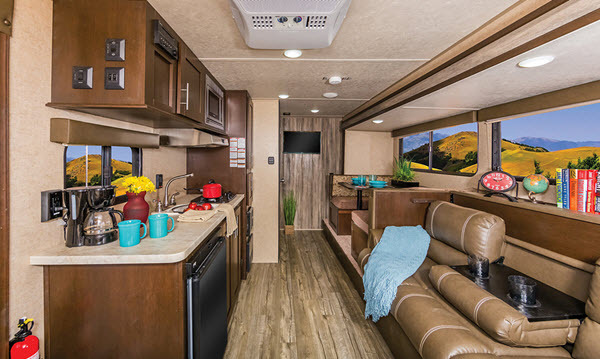 Salem Cruise Lite is good for the budget conscious, but if you want something that’ll last longer term, I’d look at Winnebago, then the Geo Pro. You have to read the reviews for sure! I was looking at the Sonic Lite 167 VMS. We really liked it, and the roof wasn’t rubber. One solid sheet from front to back. The problems different folks had were numerous and heart breaking. Worse, The manufacture KZ was no help in a lot of situations. People were about to pull their hair out. Take this article seriously and do your homework! 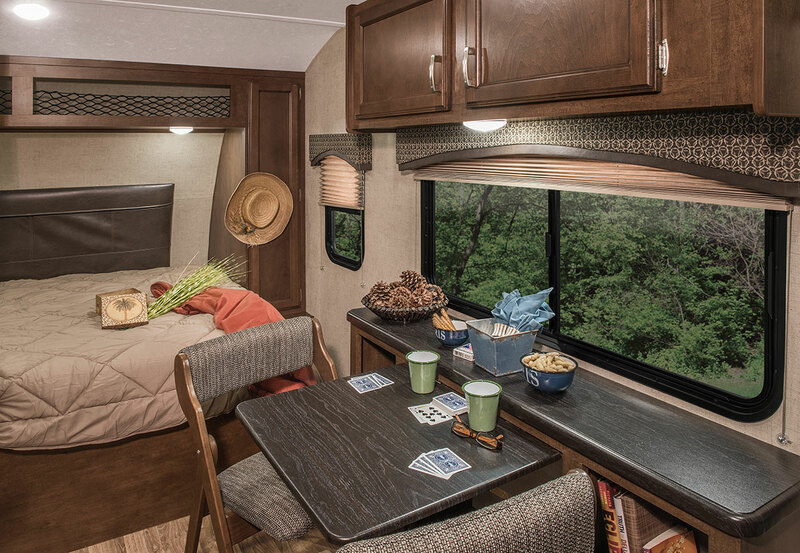 The Lance 1475 should be on every couples camper list! 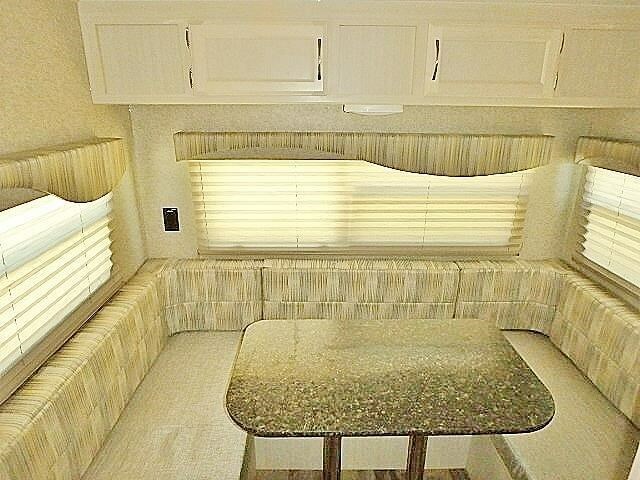 It is the only one I have found this small that has swivel rockers for the dinette with a picture window. My fav so far. Looking to buy in 2019! Help. My husband and I just retired. I have 10 tent camping and wilderness camping all of my life. We are looking for something that will fit our needs. There are so many options out that there. Murphy bed is not an option because of a injury from my husband to his spine. We would rather have a sofa than a Sofa Rather than a dining set. Need a full queen size bed . My husband is not a small man so we need a generous bathroom. Our preference is hard sided or fiberglass. 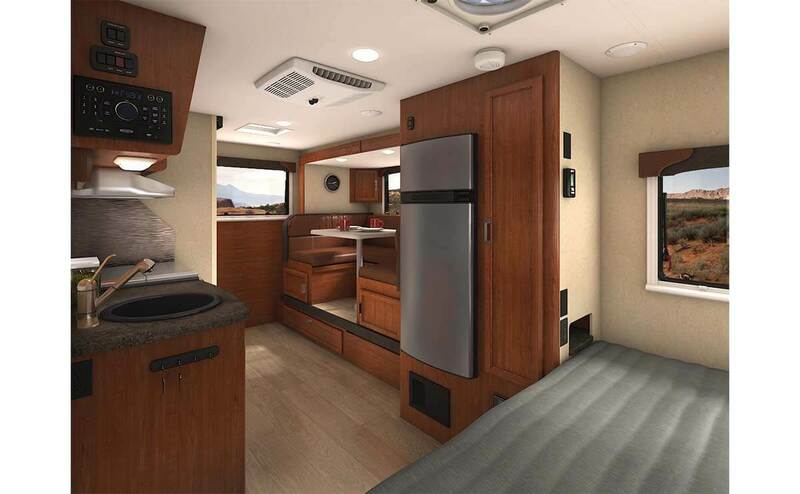 Check out the Rockwood Mini Lite 2109S. This may be what you are looking for.